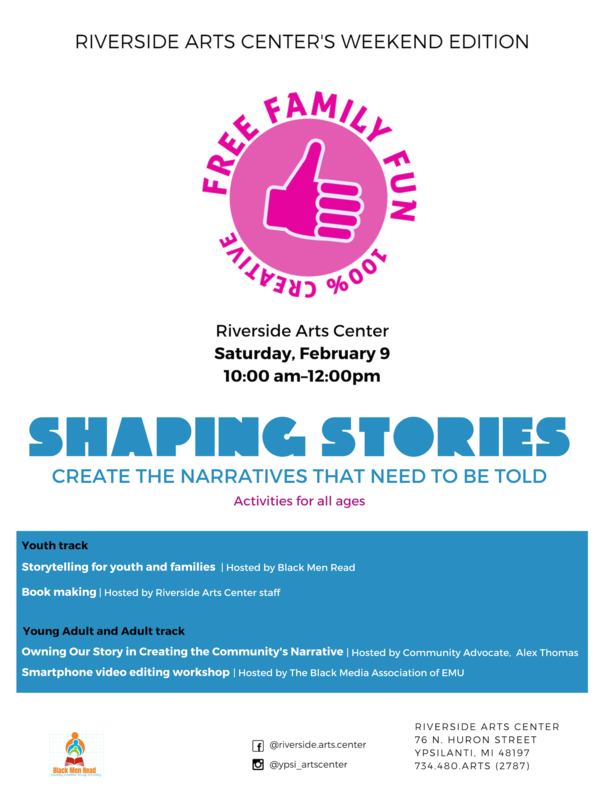 The Shaping Stories workshop offers creative media making tracks for youth and young adults/adults. The youth track will hear stories by Black Men Read and then design their own storybooks. Adults will talk with Alex Thomas about creating community narratives and then get training on a free video phone app to make their own videos. Come shape the stories that need to be told!